Adjustable Velcro Strap.Special Features: Built in key and Card holder to help minimze carrying extra items while you excercise. 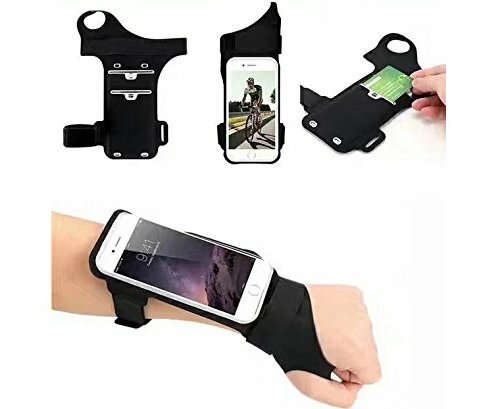 Tired of holding your phone while trying to exercise or do your daily activities!? Worried about dropping your phone and damaging it while you're working out? Need protection and functionality? Cantop Sports Armband: Easy to use. Simply slide your phone into the top when ready for use, and slide out when finished. Armband is equipped with headphone and charging slots so you can easily access functionality as well. Made of Lycra material, keeps your phone safe when you are exercising. Provide excellent protection during sport, such as running, cycling,biking, jogging, walking, working out etc. Great for working out, jogging, outdoor activities. If you have any questions about this product by ebuymore, contact us by completing and submitting the form below. If you are looking for a specif part number, please include it with your message.